Moschip Semiconductor Technology is the first publicly-listed semiconductor design services company with over 15 years of extensive design experience across different segments such as consumer electronics, aerospace & defence, networking and telecommunications, mobile communications, IoT and semiconductor industry. The stock had a forgotten history but came to limelight after it was aquired by a company called techwave, a singapore based company managed by Indian promoters. Techwave is a global IT services and solutions provider headquartered in Exton, USA with local offices in Europe, APAC, UAE and South Africa. They have their Global Delivery Center (GDC) is located in Hyderabad, India. Company has gained good visibility as a trusted strategic business partner that provides value added services through co-innovation, thought leadership and industry best practices to its clients. These are other few recognition for Techwave in recent times. “Pennsylvania IT/Technology Leader” by Fortune Magazine. Damodar Gummadapu is the co-founder of Techwave. He is a proven leader and entrepreneur who has been instrumental in Techwave’s rapid growth. 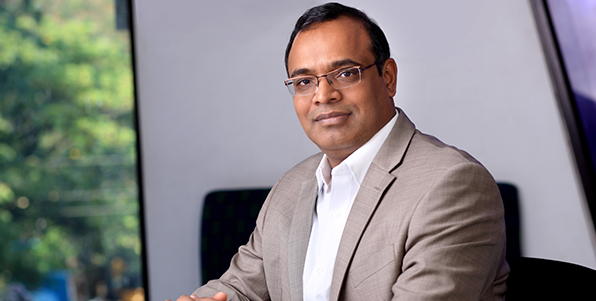 Damodar has more than twenty five years of experience across various Fortune 500 companies including big 5 consulting companies. He has worked as a Chartered Accountant and also as a Management & Cost Accountant, acquiring tremendous experience which shaped his vision of extending the role of technology solutions to business’ growth, optimization and expansion. In his leadership, Techwave not only grew in size but also expanded globally to Europe, Middle East and APAC regions. What Compelled Damodar Gummadapu for Moschip's Acquisition? In 2015, McKinsey Global Institute (MGI) came up with a report on how IoT will be shaping the future of the world. Below given were the main points mentioned in that research report. 1. IoT in Humans: Using IoT systems to convince healthy people to change their living habits and to help sick patients adhere to doctors’ prescriptions would be a true breakthrough. Based on current usage and likely growth rates, the report projected that the economic impact of IoT in human health and wellness could be $170 billion to nearly $1.6 trillion globally in 2025. The largest source of value would be using IoT devices to monitor and treat illness ($170 billion to $1.1 trillion per year). Value would arise from improving quality of life and extending healthy life spans for patients with chronic illnesses, and reducing cost of treatment. The second-largest source of value for humans would be improved wellness—using data generated by fitness bands or other wearables to track and modify diet and exercise routines. 2. IoT in Houses: In the home setting, McKinsey report assessed the impact of Internet of Things applications relating to the operation of homes, such as energy management, security, and automation of domestic chores. They forcast a $23T value of time spent annually on domestic chores in 2025. In the United States alone, household activities (cleaning, washing, preparing food, gardening, caring for pets, and so on) and purchasing home goods and services require 230 billion labor hours per year. Globally we estimate the value of time spent on domestic chores will be more than $23 trillion in 2025. We also estimate that devices such as self-guided vacuum cleaners and lawn mowers can cut the time required for household activities by 17 percent. 3. IoT in Factories: The IoT applications in factory settings have the potential to create value of $1.2 trillion to $3.7 trillion per year in 2025. Based on their research, the greatest potential for creating value will be in operations optimization—making the various processes within the factory more efficient. This includes using sensors, rather than human judgment (and human error), to adjust the performance of machinery. It also involves use of data from production machinery to adjust workflows. Overall, IoT applications in operations optimization have the potential to create value of $633 billion to $1.8 trillion per year in the factory setting in 2025. So the visionary leaders behind techwave, waited for none and acquired the main raw material making Indian company for IoT, Moschip Semiconductors. The acquisition happened at Rs. 7 in early 2016 and the stock climbed to Rs. 68 in just less than one year. Now the stock is consolidating at Rs. 45-55 range. 2. 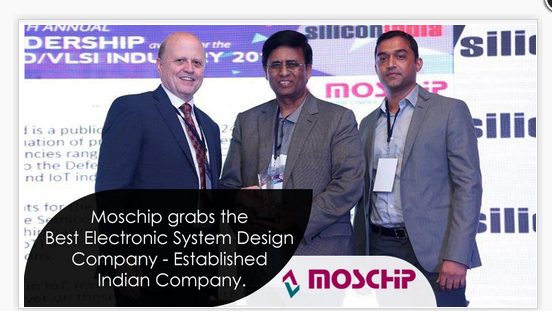 MosChip Semiconductor Technology acquired three firms - elitePLUS Semiconductor Technologies, Orange Semiconductors (both based in Bengaluru) and the Pune-based Maven Systems to strengthen its capabilities in VLSI services, advanced verification, mixed signal and lower-power verification etc. 3. MosChip Semiconductor Technology has entered a Non-binding agreement to acquire Next Generation Technologies (NGT), a defense lab provider company. NGT is a Hyderabad based firm providing services to various defense labs in Hardware Board Design, Embedded Software, Firmware Development and Mechanical Design of defense equipment. 4. MosChip bagged order to provide design services and manufacturing of Custom Silicon Solution with one of its valuable partners in the US to produce and support a custom silicon solution for its digital cinema product. 5. MosChip signs MOU for implementation of CCMS Solution for Smart Center at Amaravathi, State of Andhra Pradesh. If we look at just numbers, the stock is trading at exorbitant valuations now, as its EPS is not supporting the current price. But we believe that the new promoters will be able to drive the company to new heights going forward. Hope you remember what Ashish Dhawan said, "Bet on people who have that fire in the belly and are really going to be committed to their business for the next 10-15, 20 years". Let's see where Moschip stands by 2025!! Bought below 16, Exited majority of holdings above 50 with nearly 250% returns in less than 10 months. Now holding 25% of initial quantity for long term.